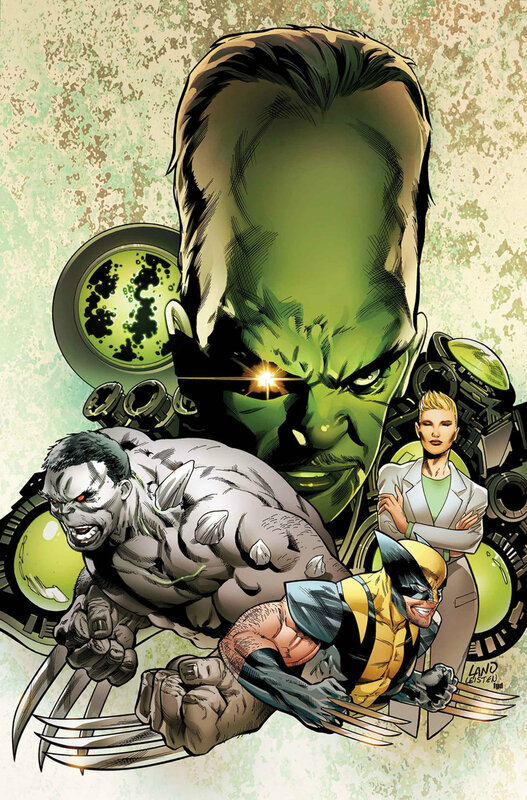 Marvel Comics Universe & March 2019 Solicitations Spoilers: Hulkverines Pits Weapon H Vs. The Immortal Hulk Vs. Wolverine Now! Hulkverines Pits Weapon H Vs…. …The Immortal Hulk Vs. Wolverine Now! The Hulk is already on Weapon H’s tail — but now Wolverine is involved. And he’s got an Adamantium-laced bone to pick with Weapon H. But they’re not the only monsters coming for Clay. The Leader and Dr. Alba meet at last — and the result will transform the course of Clay’s entire life. Weapon H veteran Guiu Vilanova returns with the second installment of a classic clash in the making!